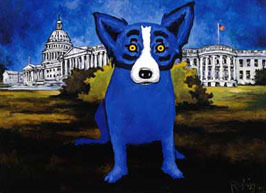 In an interview with the Huffington Post on Thursday, Rep. James Cyburn (D-S.C) the House Majority Whip, confirmed that Blue Dogs are working on a plan to identify specific cuts in government spending as a means of paying for a temporary extension for tax cuts for the wealthy. Let me get this straight. It’s not just that the Blue Dogs are in favor of extending tax cuts for the rich, which is an unpopular policy. They’re also in favor of cutting programs over the next two years to pay for it. This is not only a dumb idea economically, but would almost certainly make the tax cuts even more unpopular. What’s going to be their next idea? Tax cuts for the rich, funded by spending cuts for everyone else, and while we’re at it let’s outlaw barbecuing on the 4th of July. Then people will really hate us! Jeebus.